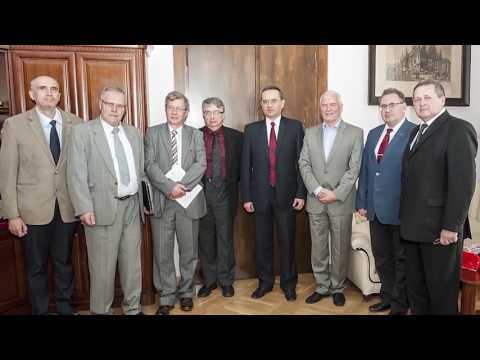 The long-term cooperation between Ternopil State Medical University and Wrocław Medical University allows our lecturers and professors to train using research and clinical facilities of the Polish university. 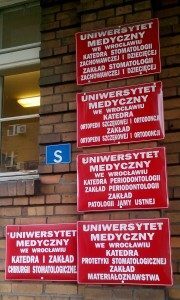 Recently, Associate Professor of Prosthodontics of the Faculty of Dentistry Svitlana Rosolovska was in Wroclaw Medical University on a month-long internship. 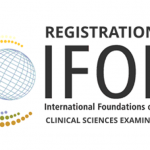 The main objective of the academic exchange project is to gain experience and advance cooperation between the Ukrainian and Polish medical schools, to use this knowledge in research and teaching. The internship took place at the Departments of Prosthodontics and Odontology, however, Dr. Rosolovska also had an opportunity to review the work of Departments of Conservative Dentistry, Pediatric Dentistry, Endodontics and Dental and Maxillofacial Surgery. Department of Prosthodontics, led by prof. Dr hab. 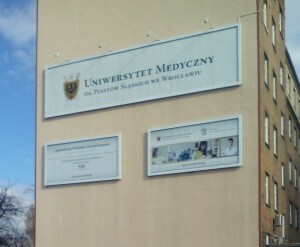 Włodzimierz Więckiewicz is located on the first floor of the university clinic. Materials science unit is a separate group, headed by Dr hab. n. med. Danuta Nowakowska. 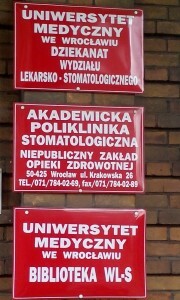 prof. dr hab Włodzimierz Więckiewicz. Simulation class for the second-year students is equipped with modern phantoms and all the necessary materials. 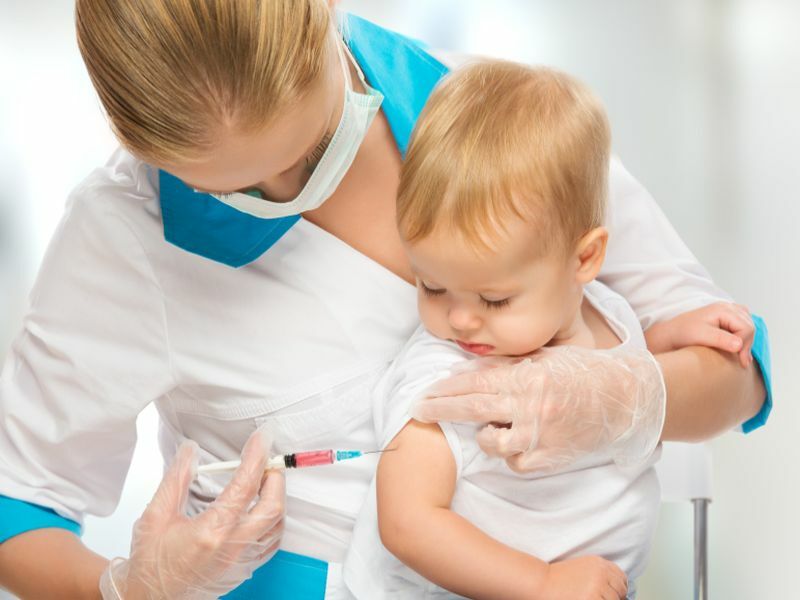 Clinical facilities where the fifth-year students under the supervision of a teacher see the patients is equipped with all required tools and consumables. 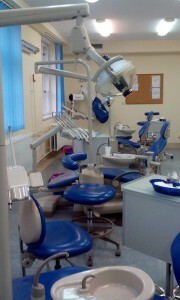 Phantom class room and clinical prosthodontics chair. In another wing of the department is the Dental Laboratory, used by dental technicians to manufacture various kinds both removable and non-removable prostheses. Department of Maxillofacial Surgery is located in the Clinical Center of the Medical University. This complex covers quite a large area and is constantly expanding, adding new units. The Department employs leading surgeons, each of which has a corresponding specialization and is capable to perform complex surgeries, seeing patients referred even form other countries. An indispensable part of the Clinical Center is the laboratory diagnostic. Modern equipment, and a wide range of laboratory tests enables the professionals give or correct diagnoses, especially in complicated cases such as tumors and other disorders. Dr. Rosolovska spent much of her time at Department of Periodontology. The department’s specialists carryout diagnostics and treatment (including surgery) of various diseases of the periodontal tissues and oral mucosa. The department is located at the dental clinic. On the ground floor is the reception, while the clinic itself, in addition to the treatment and surgical rooms has lecture halls with projectors. Each floor has a sterilizing room for treatment of the instruments. Head of the department, prof. dr hab. Marek Ziętek, also serves as the rector of the university. 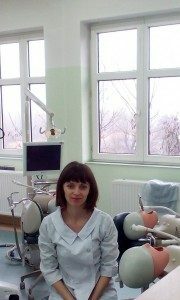 Working with the Conservative Dentistry group at the Department of Endodontics Dr. Rosolovska had the opportunity to observe student practical as well as clinical practice of the university clinic doctors. Practical training takes place in the Phantom class, allowing 12 students work simultaneously. Graduate students under the supervision of a teacher see the patients in clinical rooms, each equipped with 3-4 dental units. Here students work in pairs, taking turns being a dentist and an assistant. Workshop at the Department of Pediatric Dentistry. 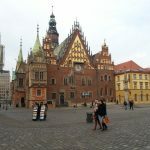 Training in Wroclaw Medical University gave Dr. Rosolovska an opportunity to improve her prosthodontics and periodontics skills, gain new knowledge, in particular learn current treatment protocols in orthopedic periodontal tissue treatment. Dr. Rosolovska hopes to adapt and introduce these new approaches into clinical practice.